Simon & Kerry were one of two couples who won the love shoot competition. They got engaged shortly before the competition, so it counted as an engagement shoot as well! 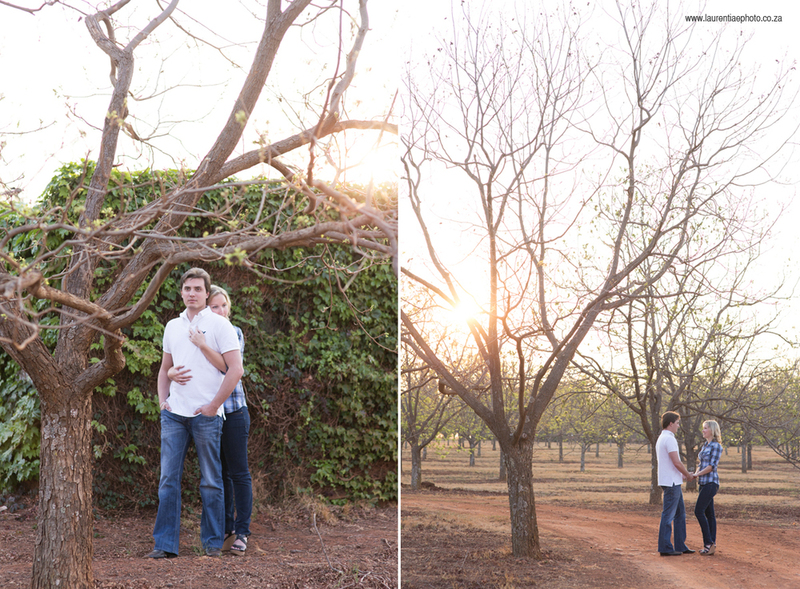 We did the shoot at Shokran wedding & events venue in the almond tree plantation showing off their new green leaves. We arrived and had a beautiful lunch followed by a game drive. We had our own game ranger and vehicle and learned all about the reserve. We came up to a koppie and walked up to see the beautiful view and there was a couch, table and my favourite champagne just waiting for us! He then got down on 1 knee and asked me to marry him!! It was very special! !